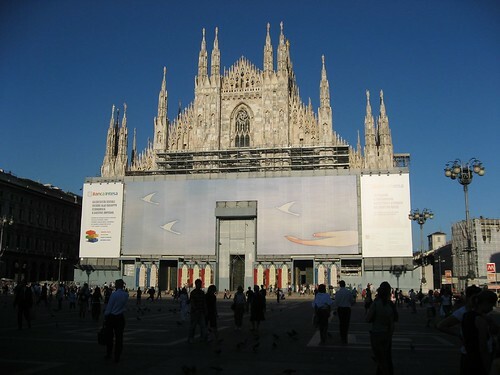 Last week, I got to spend couple of days in the fashion capital of Europe, Milano, Italy and got to visit the main tourist attraction of the city. 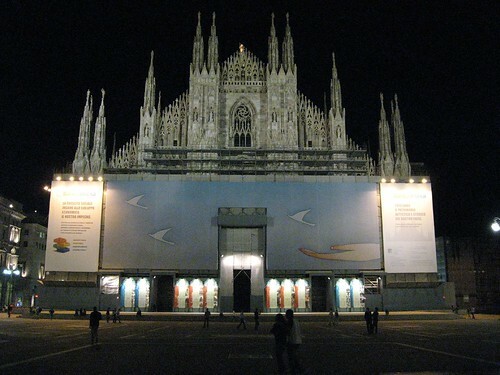 Duomo in the city square is the place to see in Milan. In fact, there are quite a few interesting places around the city square all within walking distance. 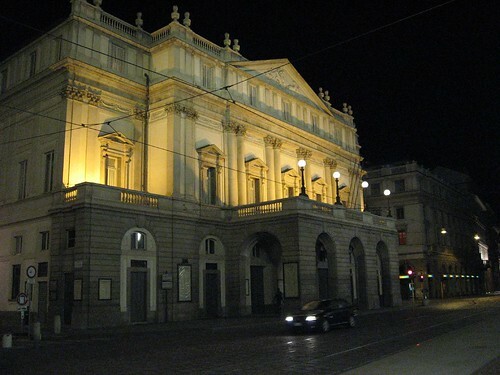 I got to Milan by road from Turin which is about 175 kms. Though there were lot of construction activity along the way, we were able to able to maintain 100 kph and made to Milan under 2 hours. It took another 30 minutes to get to our hotel. A typical story in most traffic clogged cities. 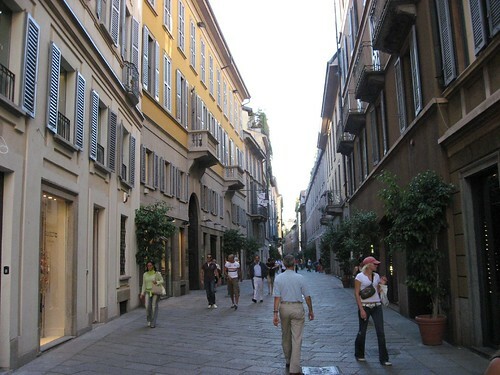 My local colleagues tell me that the, Milan and most of the Italian cities are saturated with cars and they hardly have any parking space or for that matter driving space. That is quite telling on the roads. I found lot of drivers driving rashly, jumping lanes and honking incessantly (reminded me of Chennai..). 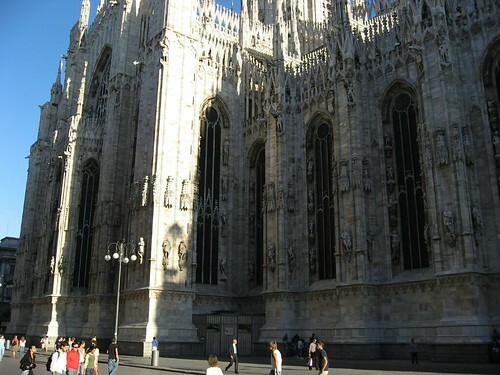 The famous Duomo (Cathedral) in the center of Milan. This place also has a huge 'city squarer' and attracts locals and tourists alike. 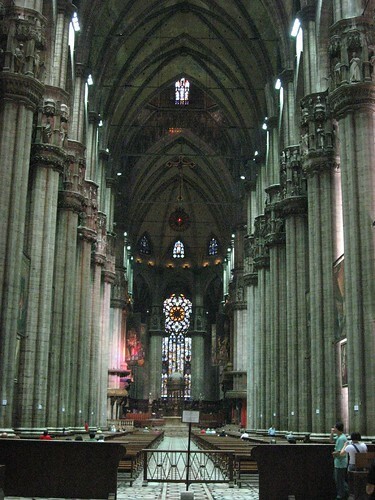 Duomo dates back to 14th century and has been the focal point Milan for centuries. 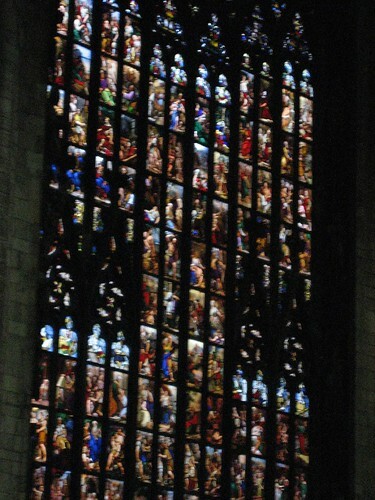 It suffered minor damages during second world war and was immediately rebuilt after the war. It seems to be in a constant state of renovation. 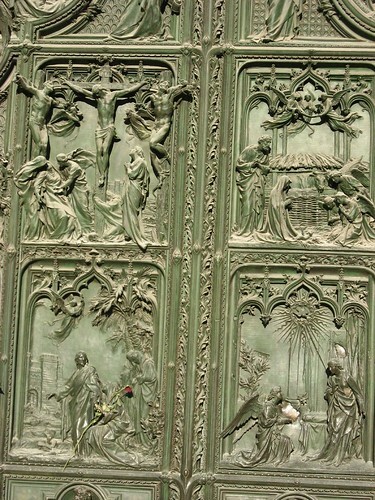 My local colleague jokingly commented that he never seen the Duomo without the construction railing. 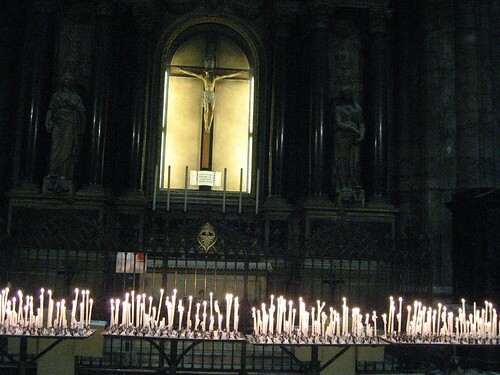 I first visited Duomo in the night.. It was less crowded and looked kind of serene.. 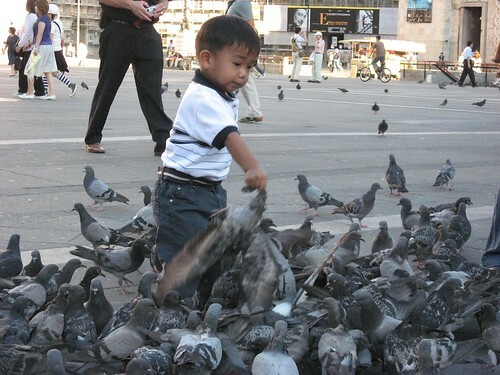 This kid of having a 'ball' with the pigeons.. Watch the video..
La Scala.. performance theater. 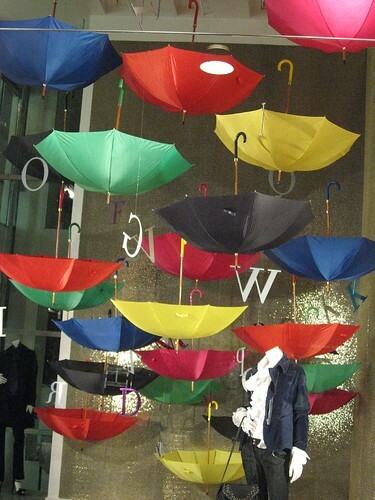 My colleague was raving about it.. Looks inocuous though..
Dell Spiga - The high fashion street of Milan. All major 'brands' have a shop here.. My friend joked that '' very soon there will be levy for even breathing air' in that street.. as everything was expensive. 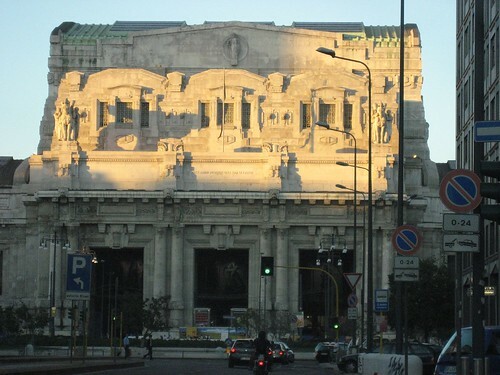 Only 'window shopping' was possible for me..
Milan central station.. built during Mussolini time..
Another during the day time.. Watch for the small boy getting very friendly a bunch of hungry pigeons.. 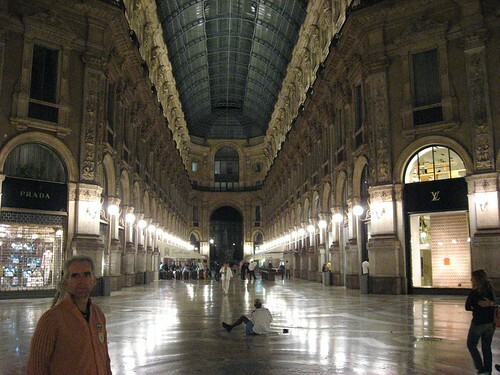 Thanks for sharing your trip to Milano. The pictures are awsome.